I liked them together and that he was good with her young son. There were some sweet moments and some sad as they both dealt with their grief and moving on. It's a slow burn and kept rather pg. 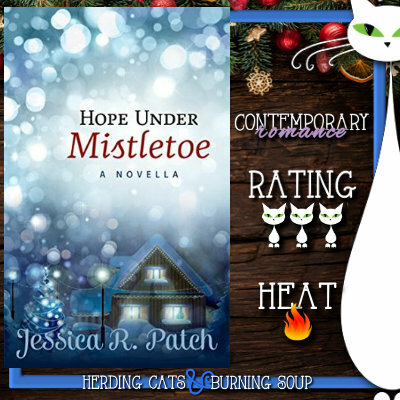 Overall, Hope Under Mistletoe was a nice Christmas romance full of forgiveness and finding peace. It lays on the inspirational elements quite heavily, though, and I did find myself rolling my eyes a bit at that. Oh no! Someone might have a drink! Pfft At my church they'd pull up a seat next to you and have a pint, too. I enjoyed it but I don't think this is the series for me. It really could have used a bit of humor and it wouldn't have hurt to tone down the 'praise Jesus' elements a notch or two. 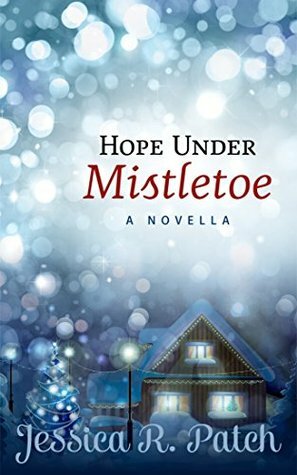 After widower Eden Snow’s church almost burns to the ground, she’s compelled to find a temporary place to hold services and Christmas cantata practices.